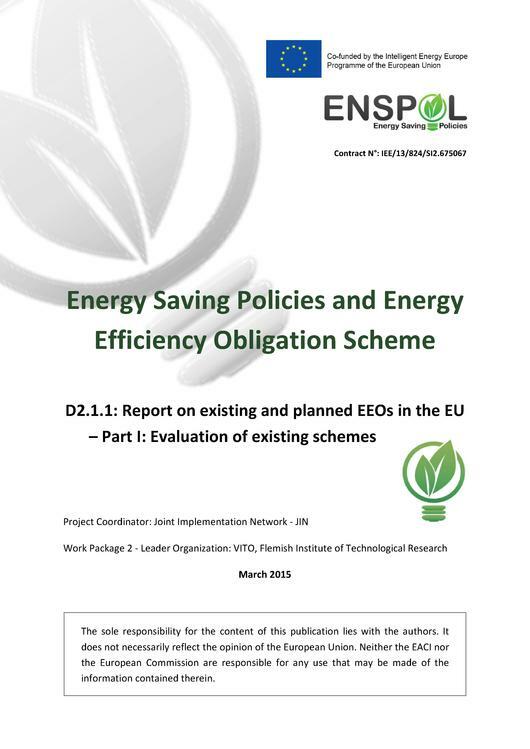 This report describes and analyses the existing Energy Efficiency Obligation schemes (EEOs) within the European Union; i.e. those of Belgium (Flanders), Denmark, France, Italy, Poland and the United Kingdom. Some of these EEOs are already well documented in the peer reviewed literature and in national evaluation reports; some others not, such as the scheme of Flanders and Poland. 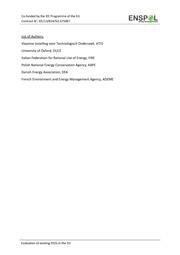 This task starts from the existing literature, updates it and completes it, based on stakeholder consultation in order to present an actual snapshot of the existing EEOs. This page was last modified on 15 May 2015, at 13:43.